Happy spring! The weather is starting to get warmer, the days are getting longer, and it’s time to enjoy some new Nespresso latte recipes. 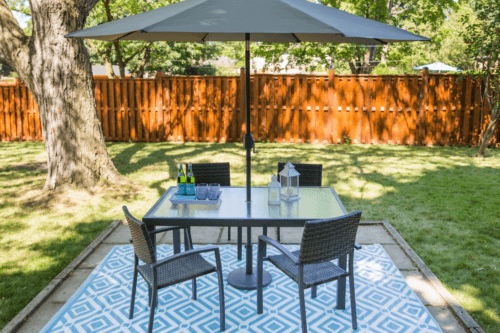 We’ve shared 5 delicious latte videos you need to make this springtime while you take advantage of our exciting new promo! Nothing says spring quite like florals! Add some honey and you’ve got yourself the mixings for a lavender honey latte, the perfect latte for springtime. The sweetness of the honey combines nicely with the beautiful lavender syrup. If there’s one coffee you want to try this season, this is the one. If you love the flavour of banana and crave caramel topped coffee, you need to make this banana caramel latte! Banana puree, frothed milk, sweet Nespresso, and caramel sauce make this a latte you won’t be able to resist. Sometime dairy-free lattes just don’t taste quite the same. But not this maple brown sugar oat milk latte! Made with oat milk and maple syrup, this latte hits the spot and couldn’t be easier to make. If you prefer your Nespresso latte to be more dessert-like, this rich, creamy flan café is the dessert you can make in minutes! Brown sugar, sweetened condensed milk, vanilla extract – just watch the video! While we’re on dessert lattes, you’ll have to add this Speculoos cookie latte to your list! 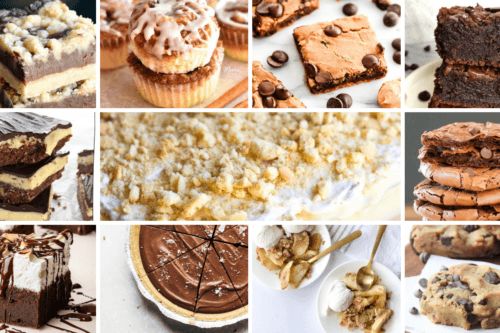 If you weren’t sold on the idea of cookie butter, the whipped cream and cookie crumbs will win you over. 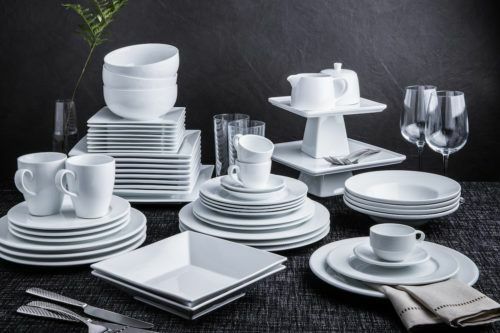 Now is truly the perfect time to bring Nespresso home! 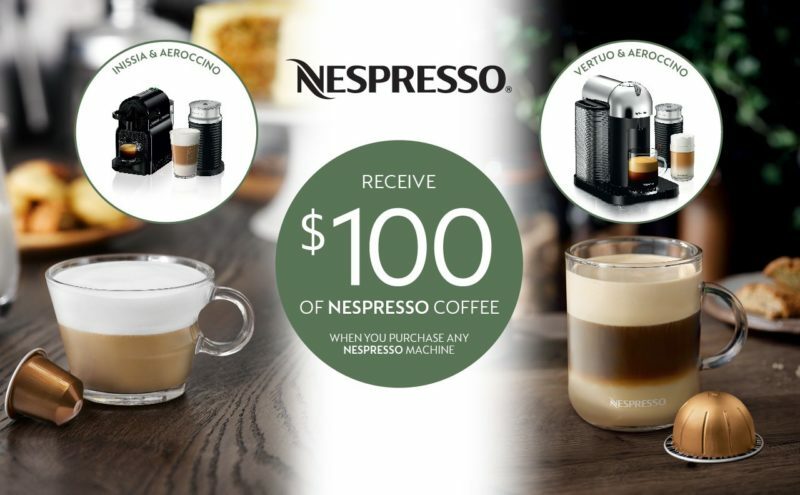 Our spring Nespresso promotion is on now until April 18th! 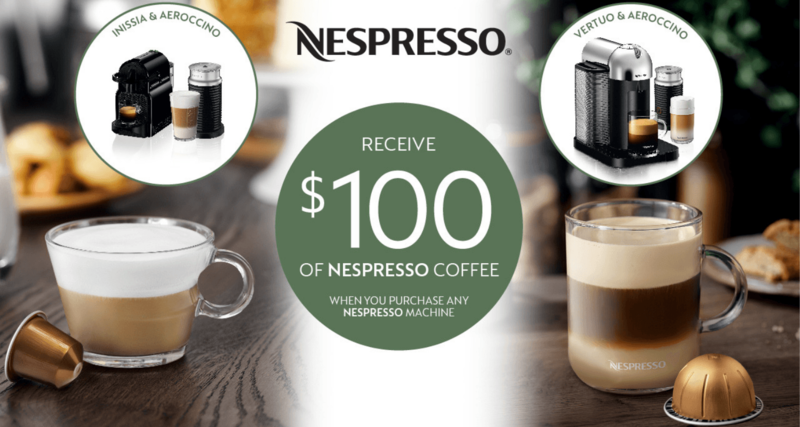 Receive $100 of Nespresso coffee when you purchase any Nespresso machine! Tried one of these spring lattes? Share your favourite spring latte with us! Tag us @kspstuff on Instagram or get more inspiration on facebook.com/kitchenstuffplus.